A lot of current wedding photography is directed. This means the photographer has given the subject some instructions, but rather than holding one pose, often their direction was meant to put them on the right track for creating images with movement and/or a certain feeling or story. These images have the feel of being candid, but in reality, the moment was created rather than happening spontaneously. Basically, by giving certain directions, the photographer is splitting the difference between purely posed and fully candid. This style of photography fits well for wedding party photos and portraits with the bride and groom. Direction might also be helpful for certain other points during the day, such as when the bride is getting ready. These types of images are exactly how it sounds. The people have been put into a certain pose and hold that stance while the photo is taken. Often, the subject is looking directly at the camera, and there is no movement. Posed does not mean emotionless! Family formals are the photos most likely to fall into this category, but they should still be genuine. For truly candid photography, the photographer will have given no direction or instruction for the photo at all. Instead, the photographer takes the “fly on the wall” approach, and shoots images as they unfold naturally. This type of photography is likely to take place just before, during, and immediately after the ceremony as well as throughout the reception. I could talk all day about wedding photography and would LOVE to hear from you. If you would like to set up a time to meet to discuss your needs for the big day, let’s connect here. I love shooting at CJ’s Off the Square and would be happy to share samples of my work from one of my favorite venues in the Nashville area. 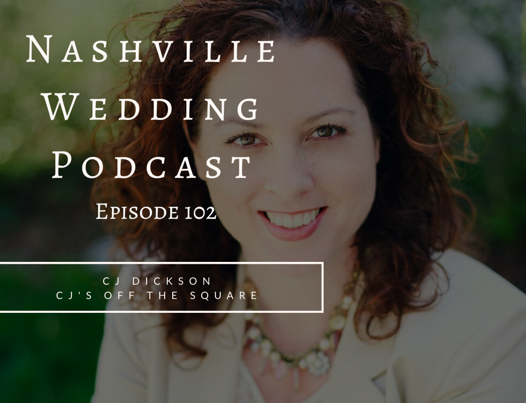 About Jenna: Jenna Henderson is a top Nashville wedding photographer with timeless, classic style. She uses a mixture of film and digital photography for the weddings and engagement sessions of her sophisticated, southern brides, giving clients an exquisite collection of iconic photos with genuine, photojournalistic storytelling.